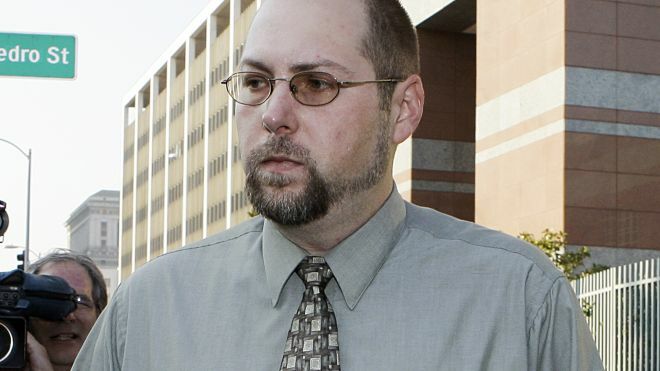 Photo hacking case of Hollywood celebrities takes another direction, as Christopher Chaney, who pleaded guilty to hacking into the e-mail accounts of Scarlett Johansson and other celebrities including Mila Kunis, Christina Aguilera and few others, has been sentenced to 10 years in prison by the federal judge in Los Angeles. Chaney was arrested last year as part of a year-long investigation of FBI dubbed Operation Hackerazzi. At a hearing on Monday, U.S. District Court judge S. James Otero said that Chaney's conduct demonstrated a "callous disregard to the victims," some 50 in total, including two non-celebrities who the judge noted was stalked by Chaney for more than 10 years. The prison term was accompanied by an order to pay $66,179 in restitution. Chaney pleaded guilty to nine offences, including illegal wire-tapping and unauthorized access to computers. In his guilty plea, Chaney admitted to having repeatedly hacked email accounts over a period of at least eleven months. He hacked into email accounts by taking advantage of the "forgotten password" feature on web interfaces and using publicly available information to answer security questions. Chaney admitted that as his hacking scheme became more extensive, he began using a proxy service called “Hide My IP” because he wanted to “cover his tracks” and not be discovered by law enforcement agents. Even after his home computers were seized by law enforcement, Chaney used another computer to hack into another victim’s e-mail account. As a result of his hacking scheme, Chaney obtained private photographs and confidential documents, including business contracts, scripts, letters, driver’s license information, and Social Security information. On several occasions, after hacking into victims’ accounts, Chaney sent e-mails from the hacked accounts, fraudulently posing as the victims and requesting more private photographs. Chaney e-mailed many of the stolen photographs to others, including another hacker and two gossip websites. As a result, some of the stolen photographs were posted on the Internet. "I don't know what else to say other than I'm sorry," Chaney said. "I could be sentenced to never use a computer again and I wouldn't care." For detailed information about this case click here.